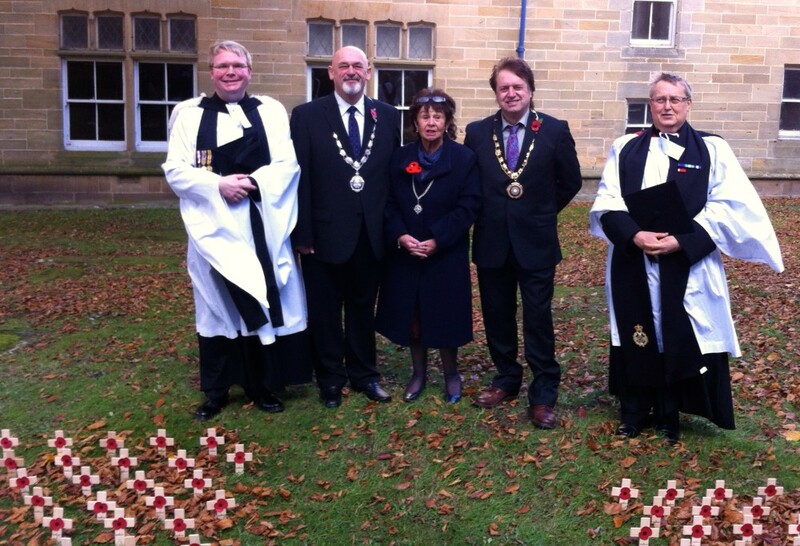 This unique Field of Remembrance commemorates the fallen of the Great War from across the whole of the Civic Parish of Loftus and can be visited between the 1st November and the 11th November 2014. The Field was blessed and dedicated by the Rector of Loftus at a special service on Saturday 1st November 2014. The Service was attended by the Mayor of Loftus, civic leaders from across East Cleveland and by many members of the local community. We are grateful to the Mayor of Loftus, to the Saltburn and District Branch of the Royal British Legion, to the Year Six Students of Handale Primary School Loftus and to the many members of the local community who have worked so hard to organise this fitting memorial.